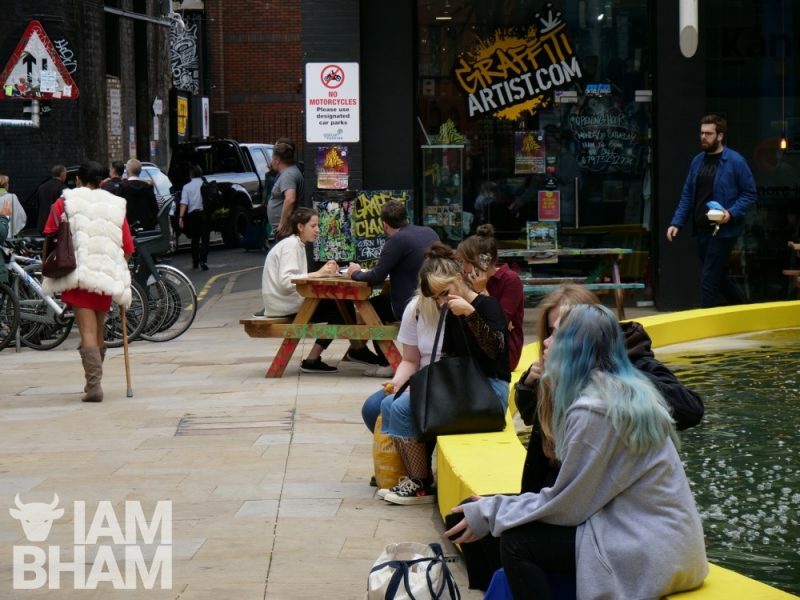 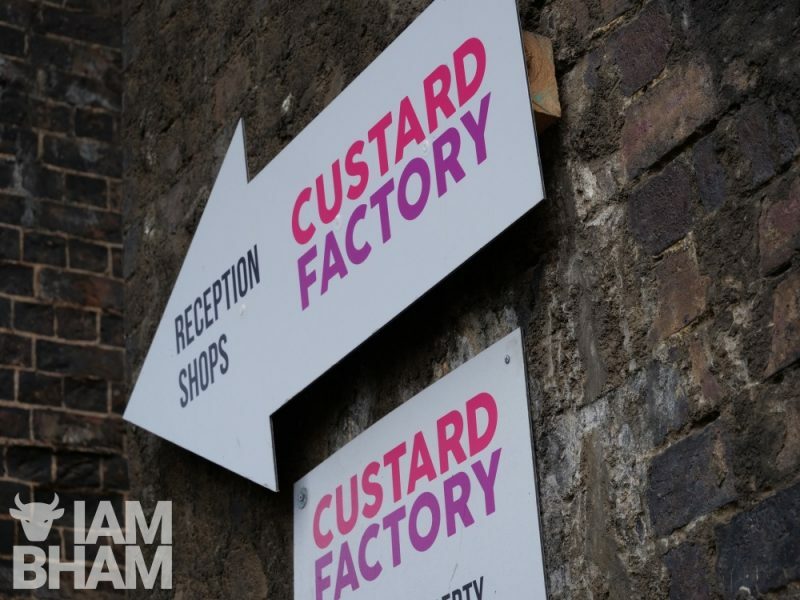 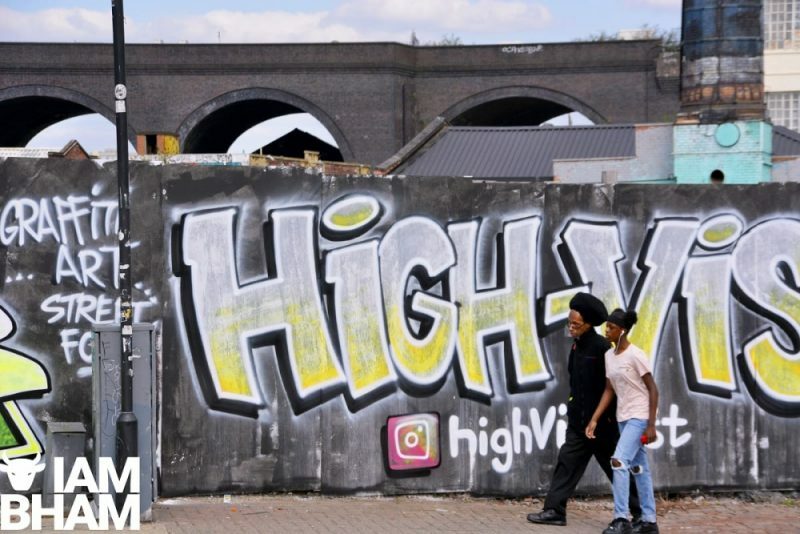 The city’s first High Vis Fest -a street culture extravaganza taking place in The Custard Factory – starts tomorrow, with intense preparations taking place for months. 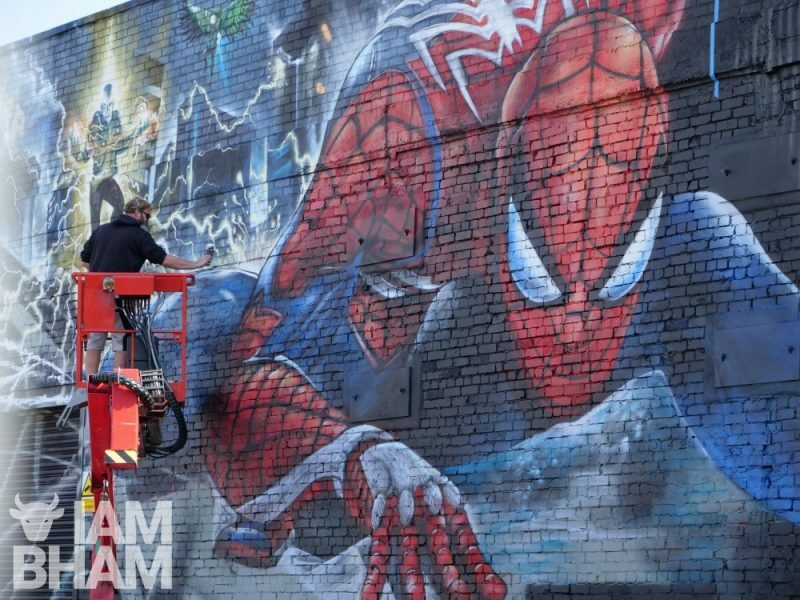 The one-day urban festival is uniquely bringing together the worlds of comic book artists and heroes with street artists and urban music talent, all in and around the popular Digbeth venue. 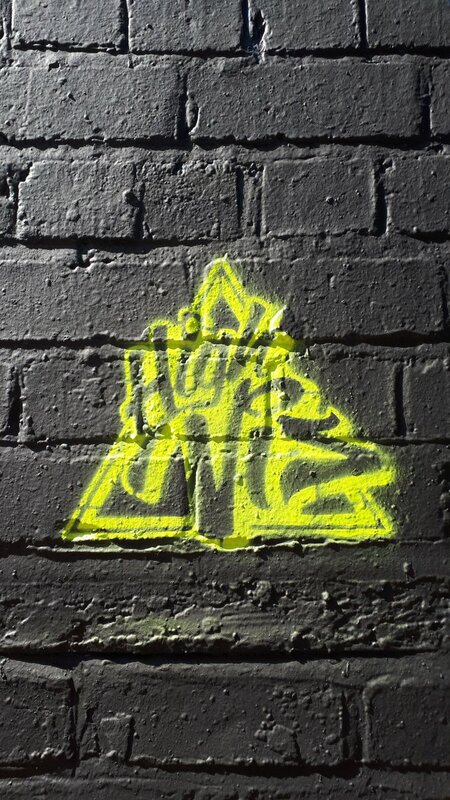 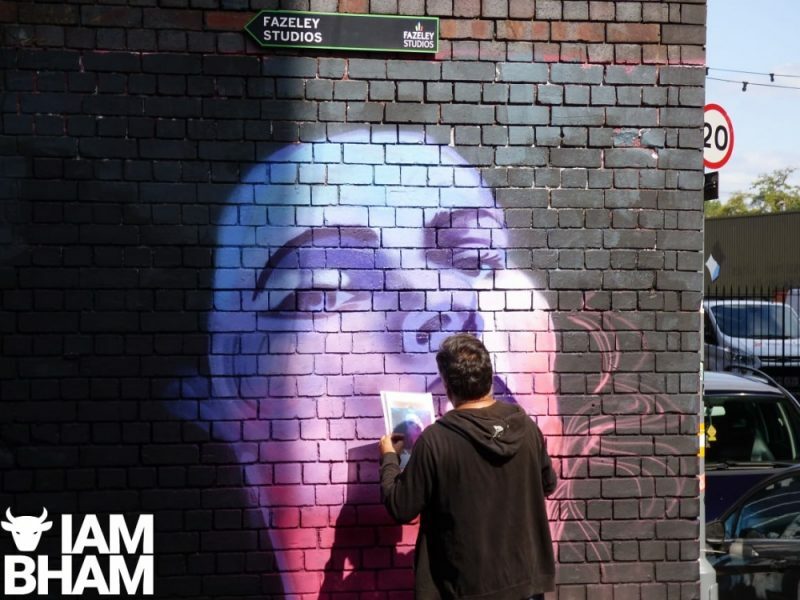 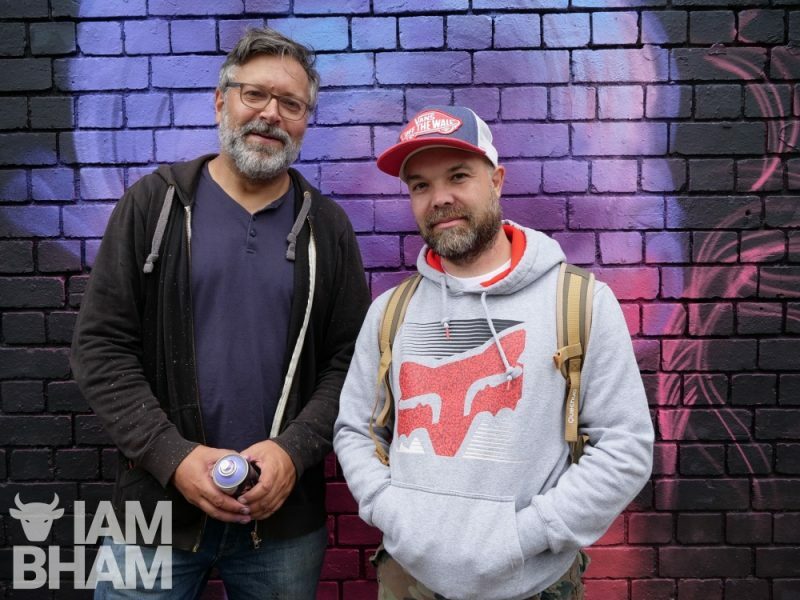 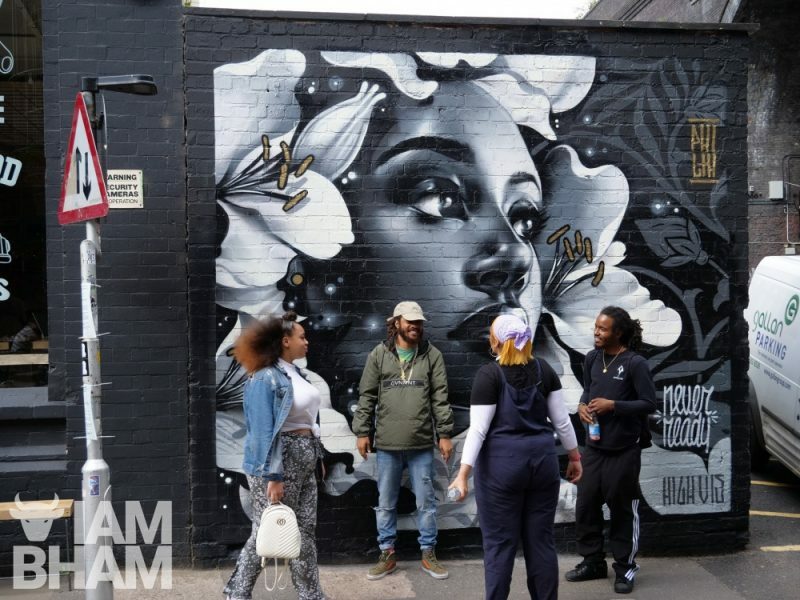 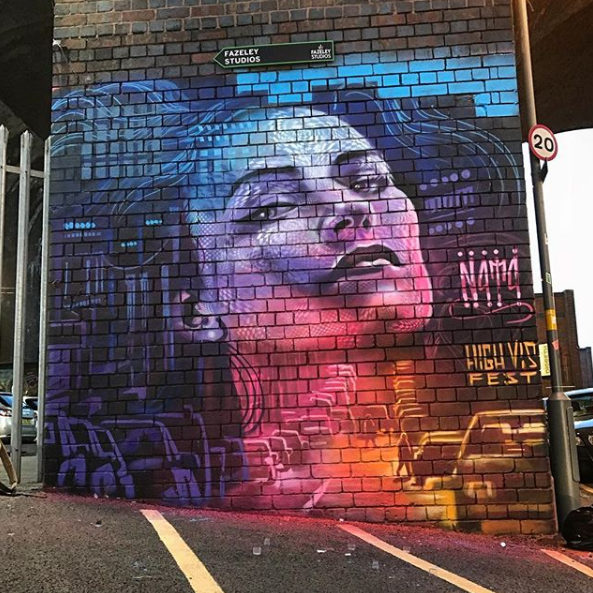 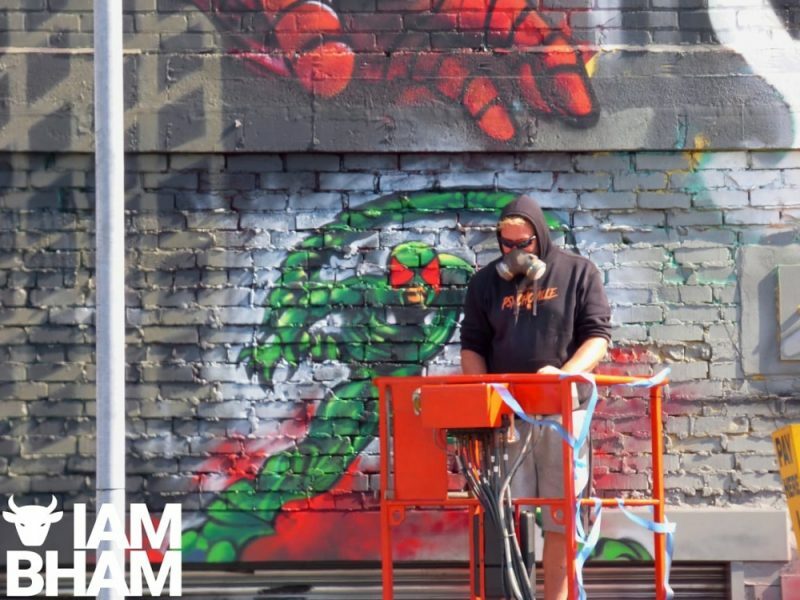 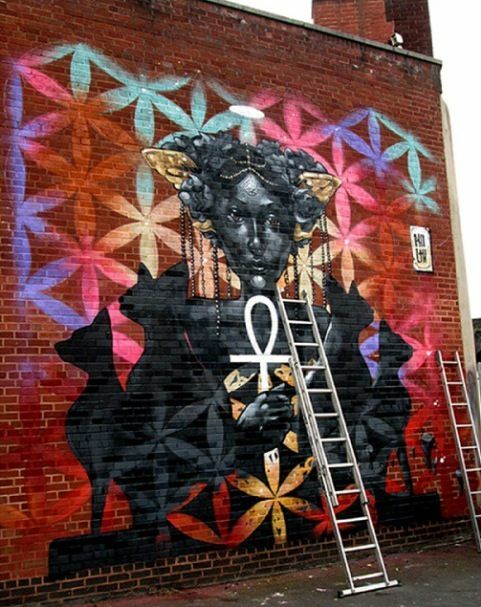 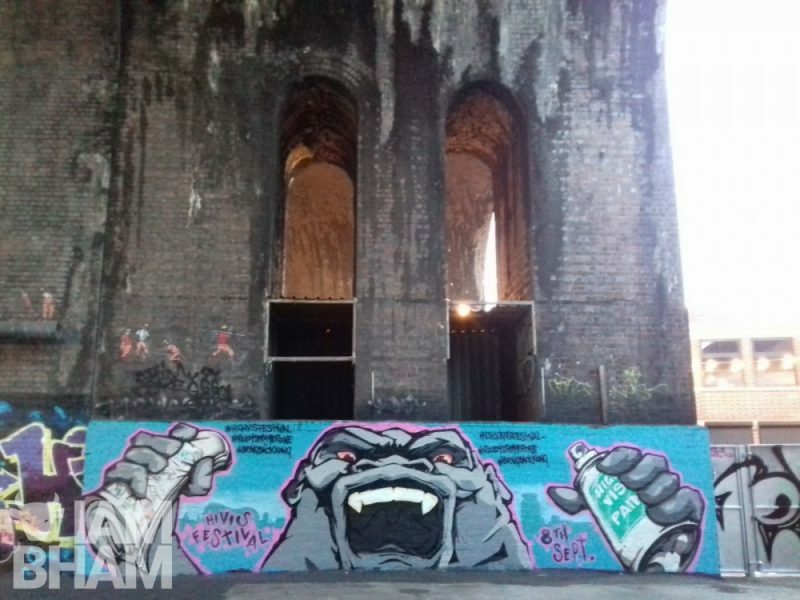 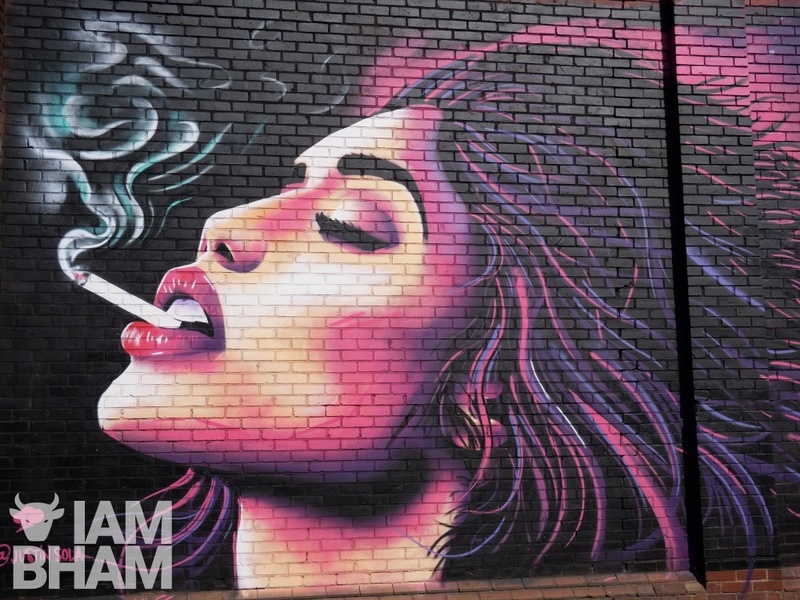 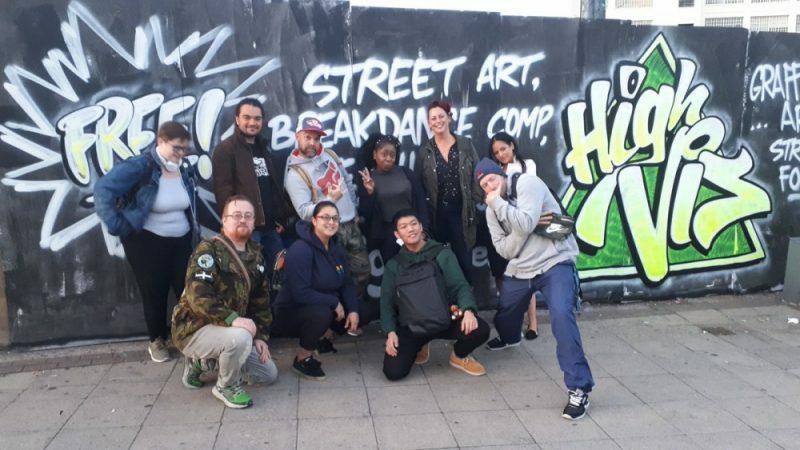 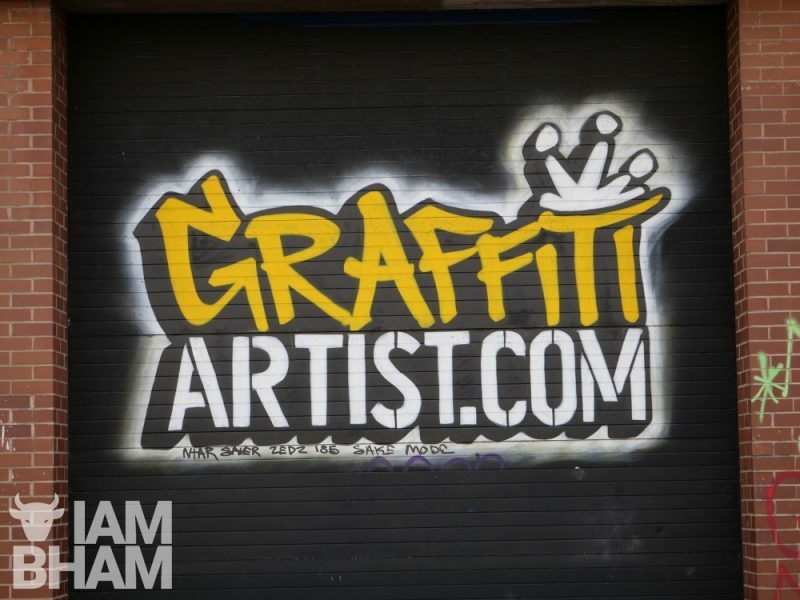 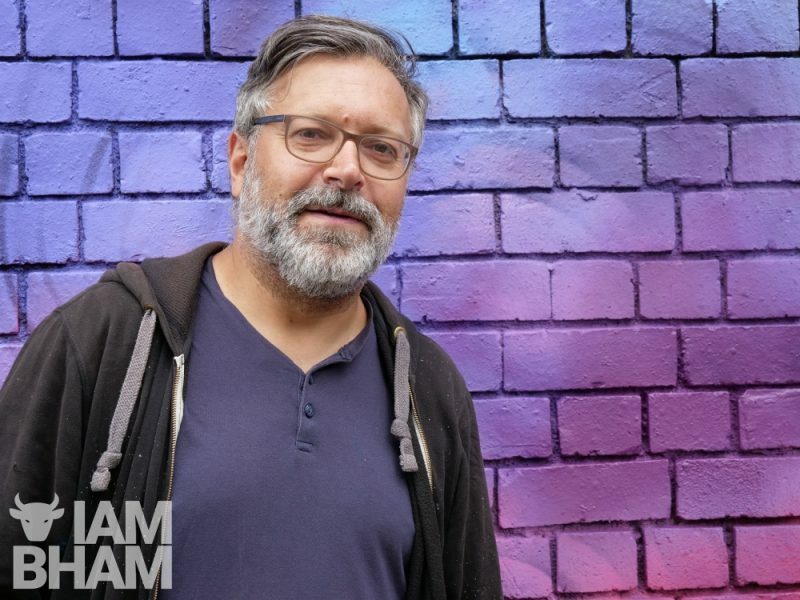 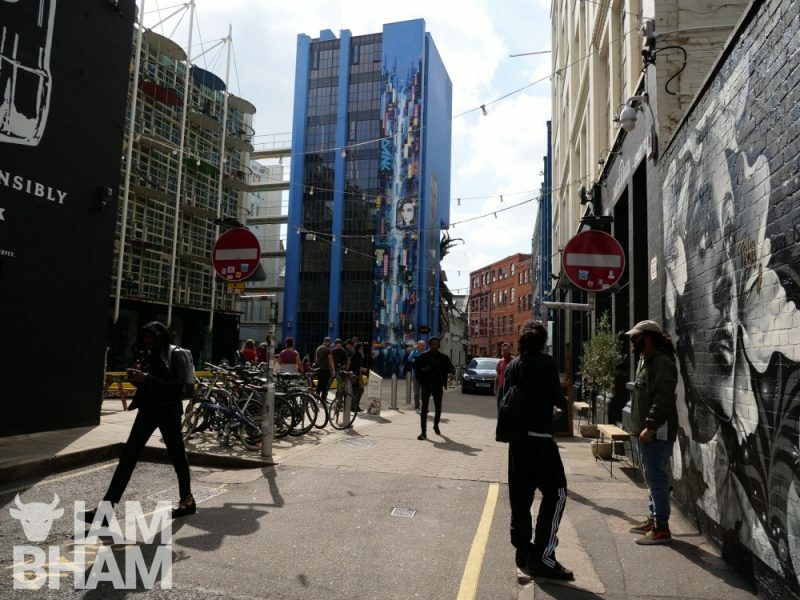 While initial preparations have been on the down-low, these last few weeks have seen a very visible flurry of action along Digbeth’s High Street, a popular home for the city’s graffiti and visual art connoisseurs. 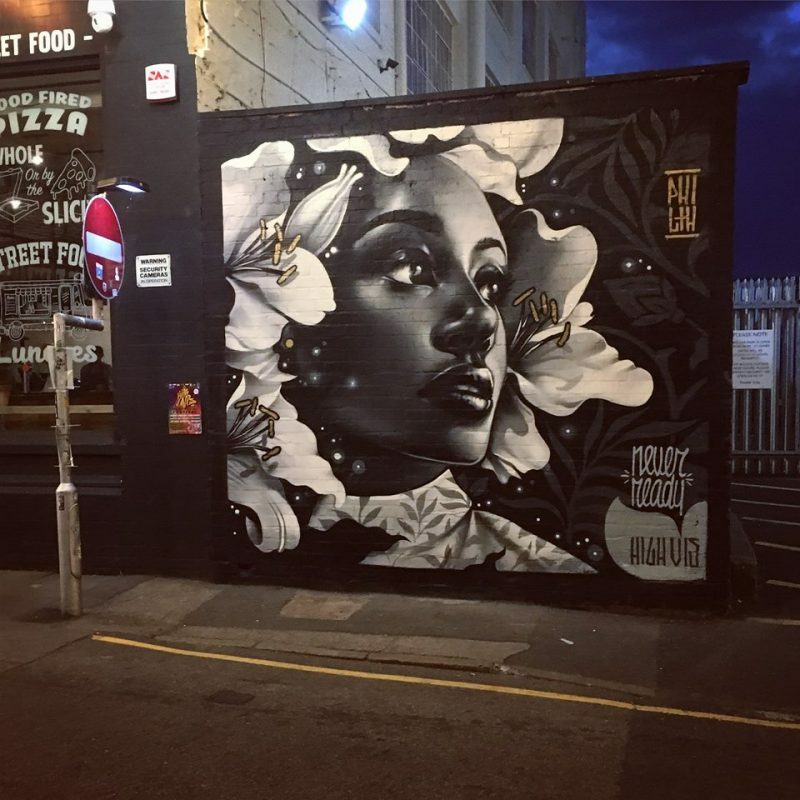 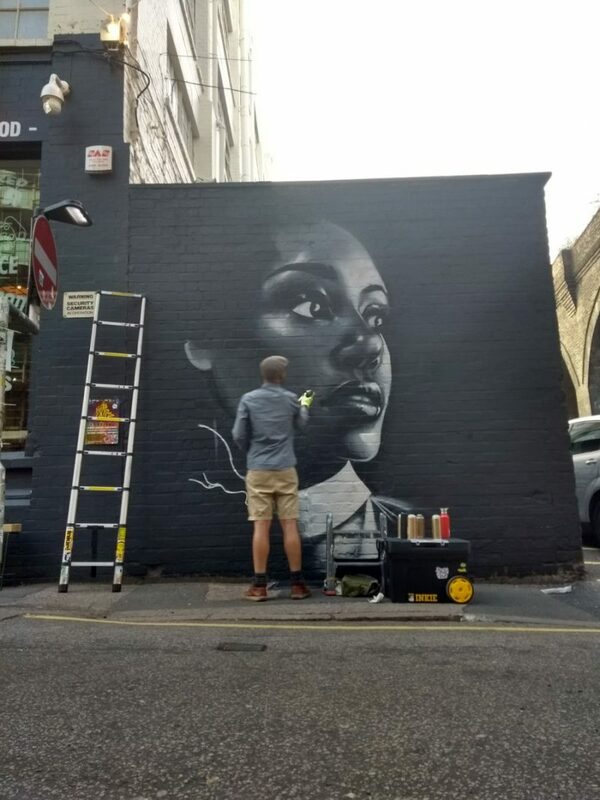 With local street artist PHILTH and several other high-profile creatives having already spent much of last week designing some stunning wall art in the area, many of them will be returning over the weekend to engage with the public, as they develop some special pieces to tie-in with the festival. 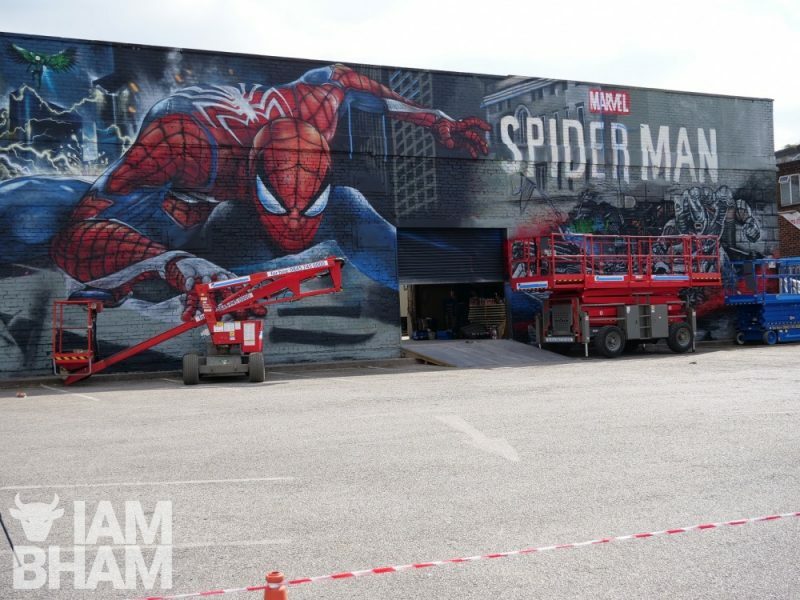 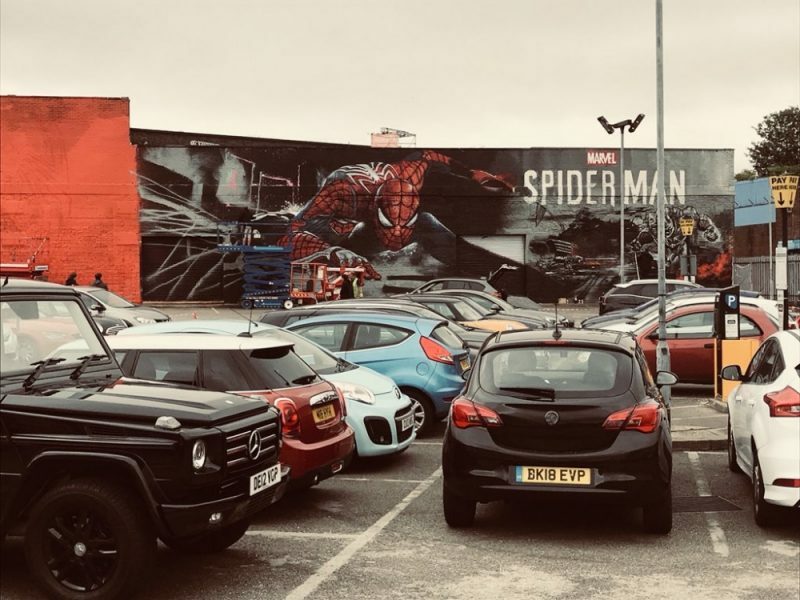 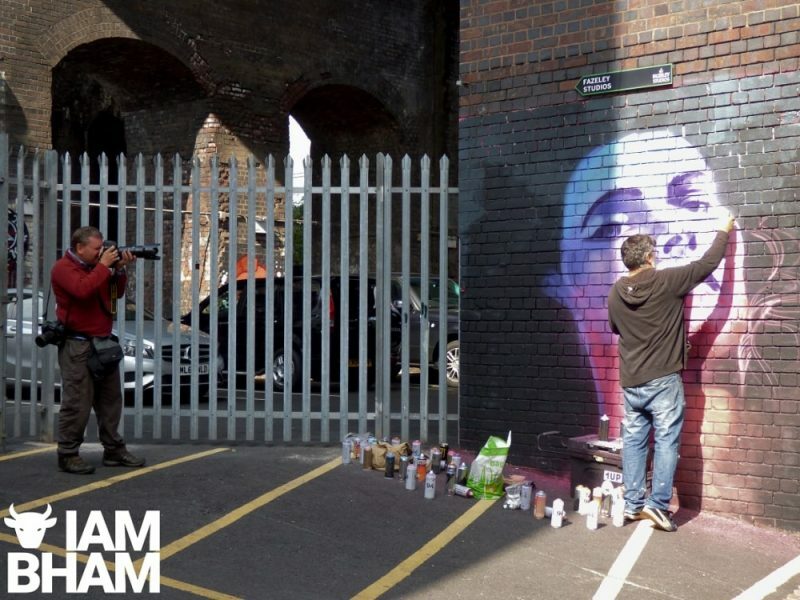 This week also saw a massive mural of Spider-Man appear in Heath Mill Lane car park, to mark the launch of the PlayStation 4 game released internationally today. 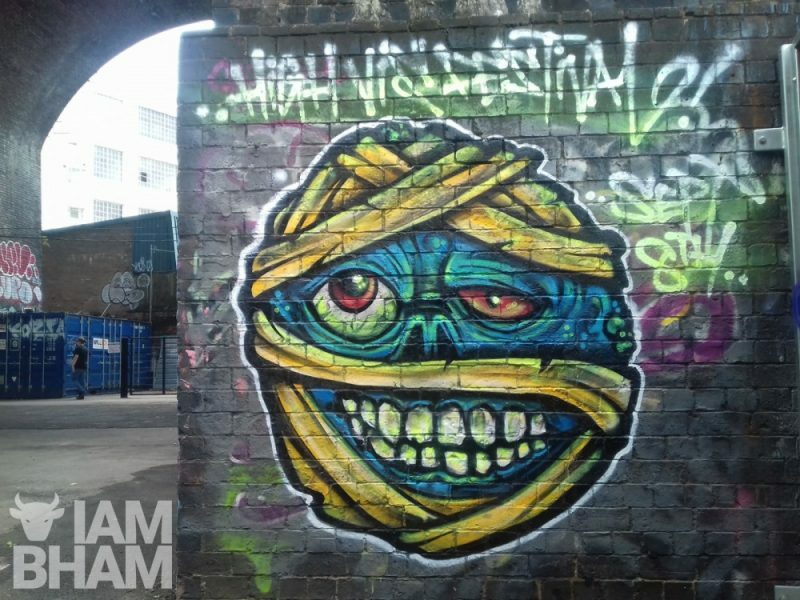 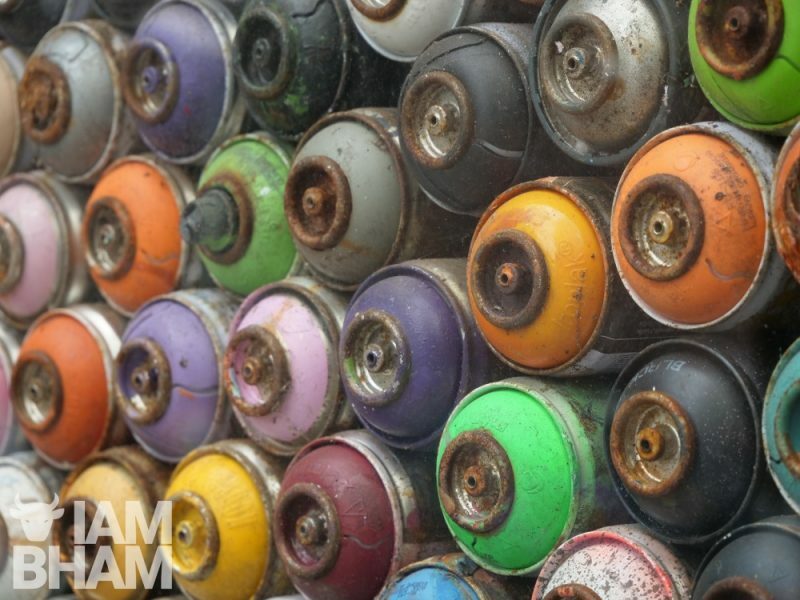 The painstaking creation is the work of London-based artist Jim Vision. 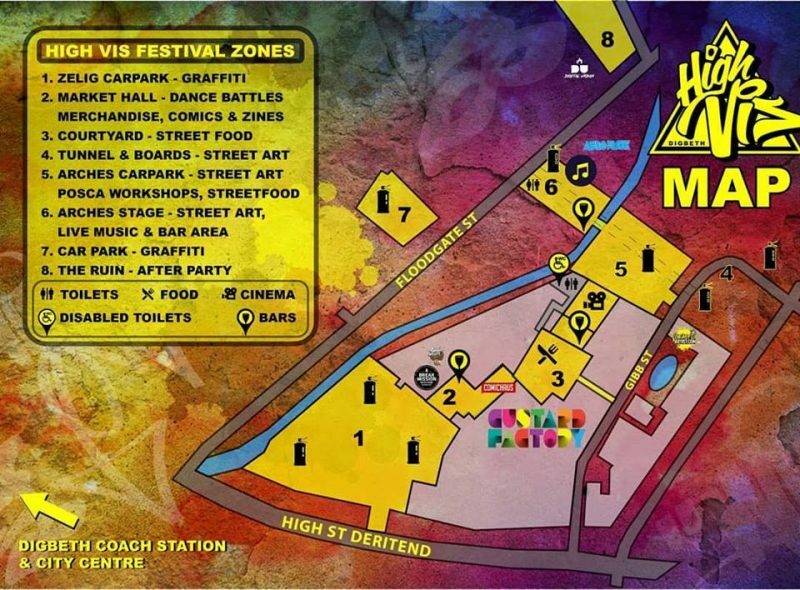 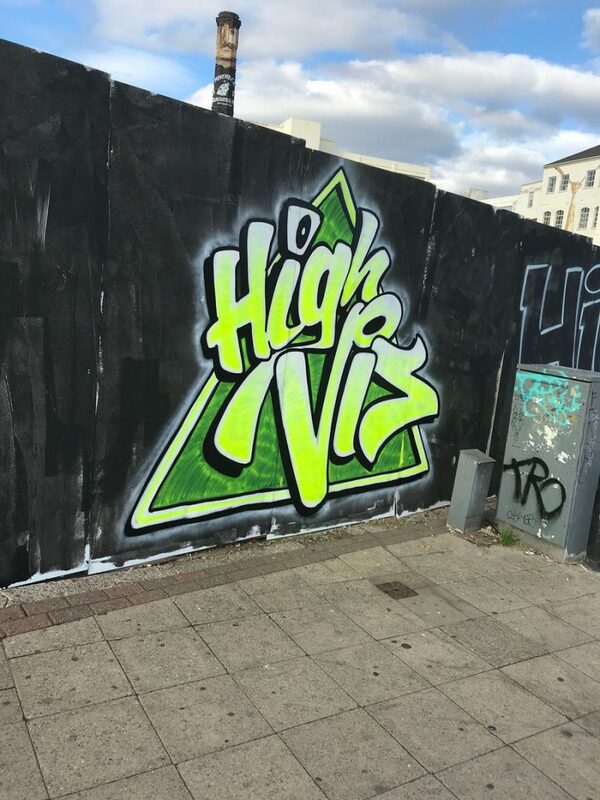 High Vis Fest is a brand new one-day street art, dance, music and comics, exploding across The Custard Factory and Zellig complex on Saturday 8th September, from 11am till 9pm, before moving onto The Ruin for the official after party.